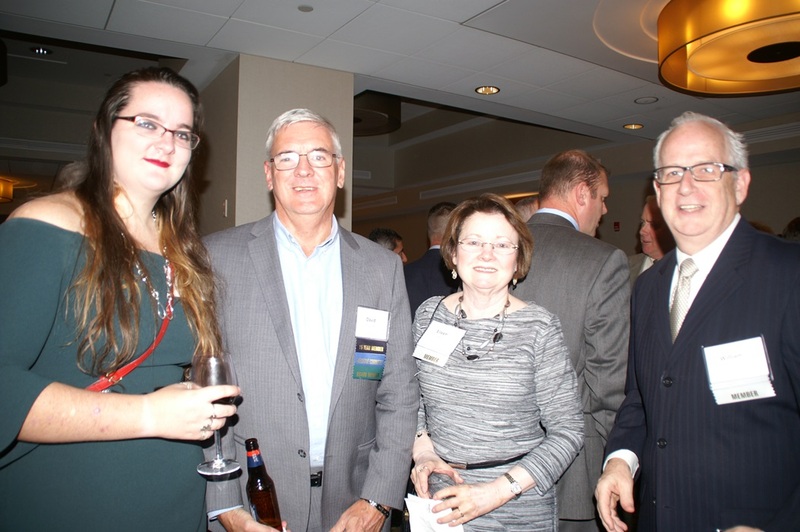 At the Builders and Remodelers Association of Greater Boston (BRAGB) Annual Member Banquet – Awards and Installation of 2018 Officers was held at the Westin Hotel on November 15, 2017. David H. O’Sullivan was presented with a special appreciation award: The President’s Award. The banquet followed a Board Meeting which included The 2018 BRAGB Board Members, and David H’ O’Sullivan was elected to serve as Secretary. The evening began with a cocktail hour, dinner, 2017 BRAGB President’s Remarks, Installation of 2018 BRAGB Board and followed by the 2017 Best of BRAGB Awards. Five awards were presented: Builder of the Year, Remodeler of the Year, Associate of the Year, New Member of the Year and then The President’s Award. 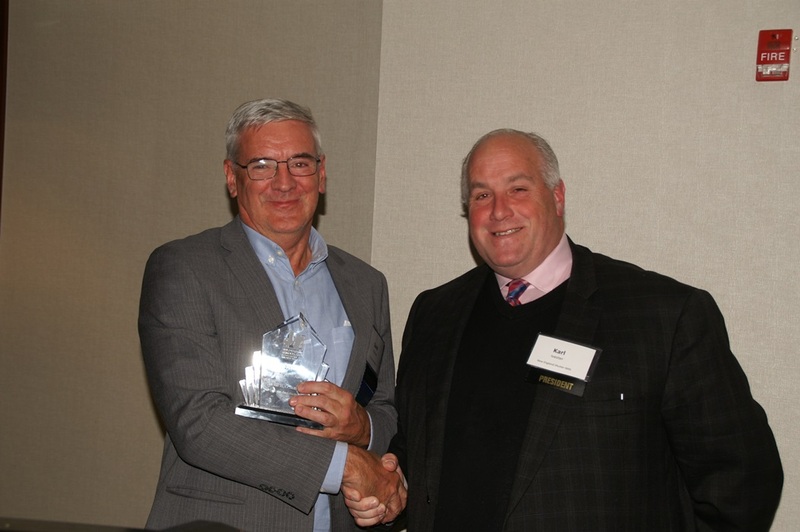 Scott Palmer, Chief Executive Officer of BRAGB was pleased to announce that David H. O’Sullivan was voted by fellow members as the recipient of the 2017 President’s Award. 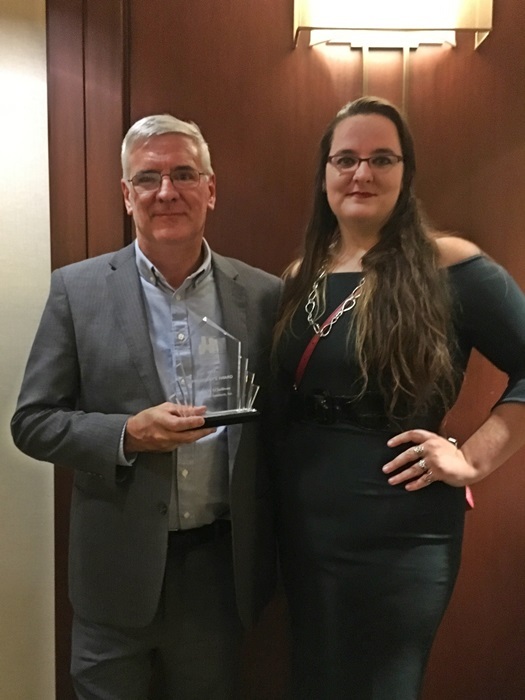 Scott said “The President’s Award is a special honor in appreciation and recognition of your significant contributions and dedication to our Association”. Scott is the senior operating manager of the association and responsible for the day-to-day management of the organization. Scott works with the Board of Directors to achieve the association’s mission and promotes the organization in order to raise public awareness and boost membership. In his remarks, David expressed the value of membership and what the organization has done for the industry including its work at the State house level all the way down to local projects. As a special surprise, his daughter Emily was waiting outside the banquet. The awards were only announced several days before the event and unfortunately his oldest daughter lives in San Diego with her husband, and his son currently working in India were unable to attend in person. Many guests attended the dinner before the awards were presented. 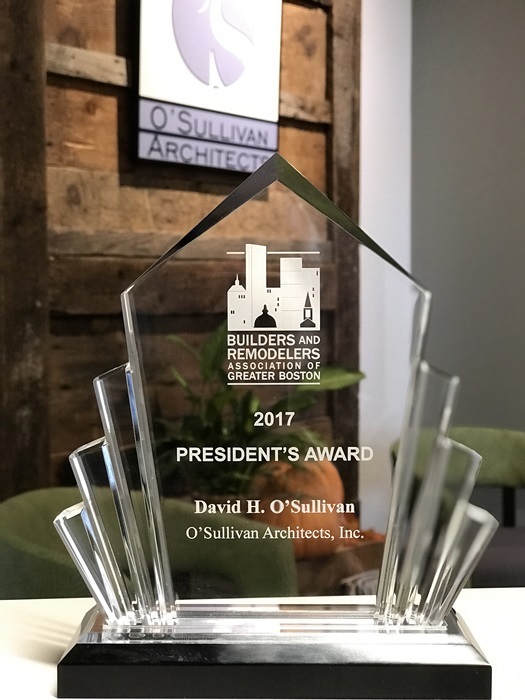 The entire team at O’Sullivan Architects is very pleased to see that The Builders and Remodelers Association of Greater Boston has voted David O’Sullivan to receive the 2017 President’s Award. David receives a well deserved congratulations from the outgoing BRAGB President Karl Ivester at the Annual Meeting dinner. 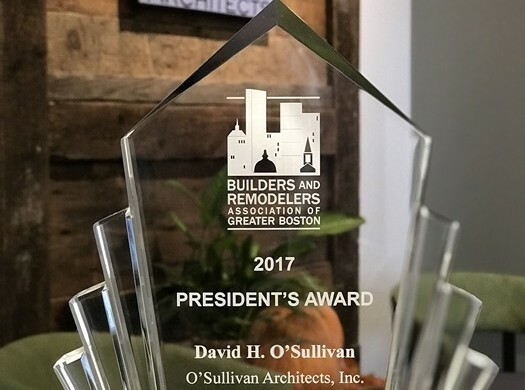 O’Sullivan Architects would like to congratulate all of this year’s Best of BRAGB Award inners for their well-deserved honors.